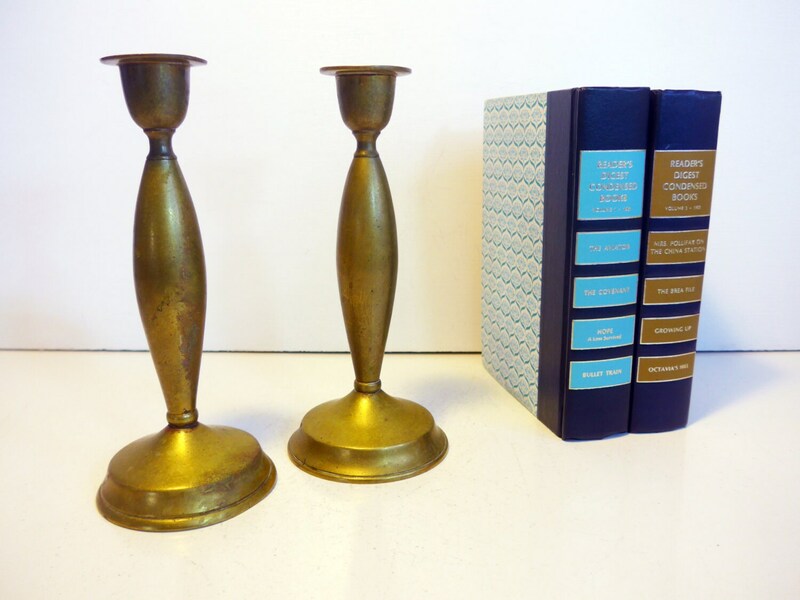 Pair of solid brass candlesticks of medium tall height with a round base hallmarked by the Rostand Manufacturing Company of Milford, Connecticut. 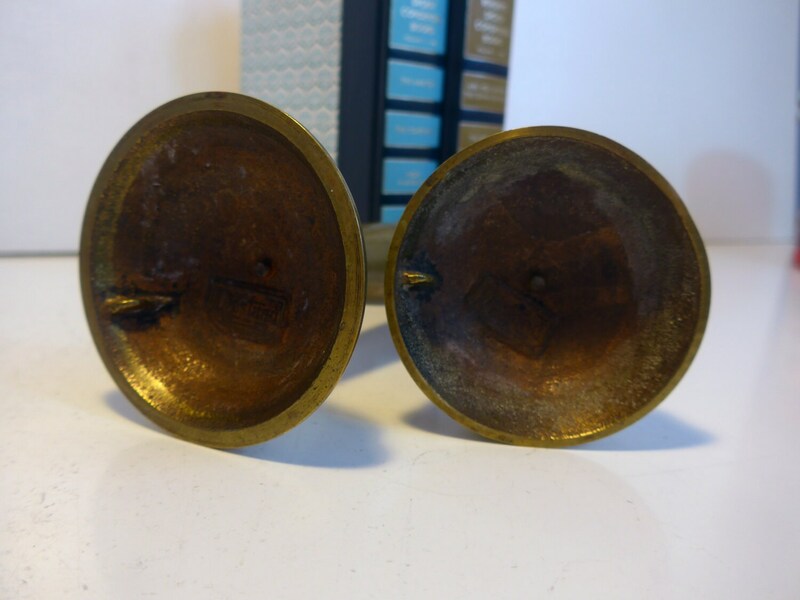 Nice shabby chic pair of brass candlesticks. 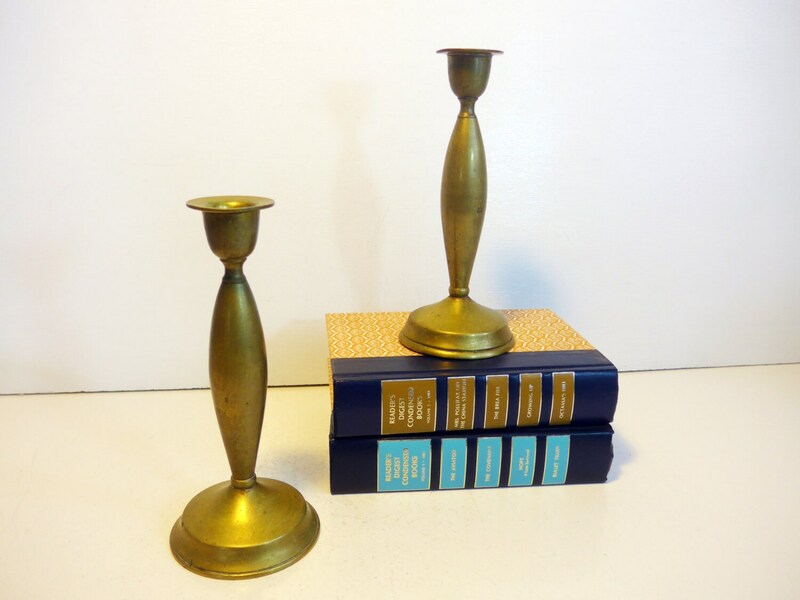 The two candlesticks have a distinctive shape that is more rounded than most typical brass candlestick holders, having a cylindrical mid section and round bases. In nice vintage condition. Lots of patina - I did not polish as some folks like patina and signs of wear. 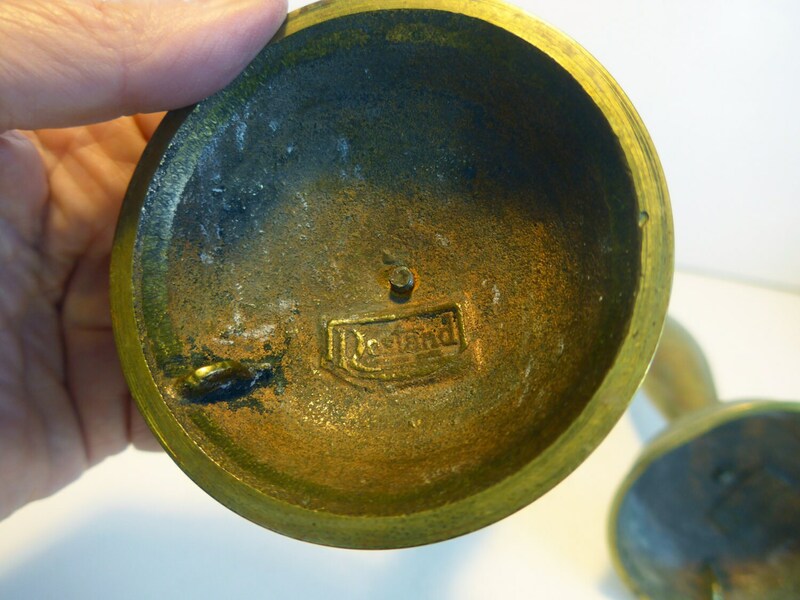 Upon close inspection, there is a dent on the base of one candlestick holder, making the bottom rim not perfectly round. 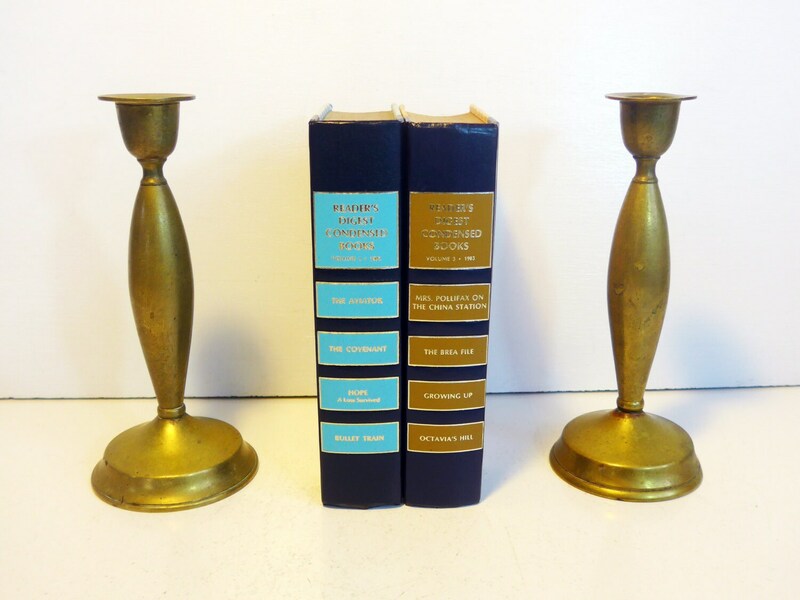 Overall, wear consistent with their vintage or antique condition. Bottoms have the Rostand stamp on each one. These appear to be quite old - see photos.